I am working on an adaptation of MikhaÃ­lÂ Bulgakov’sÂ Ð—Ð°Ð¿Ð¸ÑÐºÐ¸ ÑŽÐ½Ð¾Ð³Ð¾ Ð²Ñ€Ð°Ñ‡Ð° for Big Talk and Point West Picures, as A Young Doctor’s Notebook. It is part of Playhouse Presents…. The writers are Mark Chappell, me and Shaun PyeÂ and the medium is comedy-drama. It’s set in 1917; while some press has inferred that the background is the first world war or the Russian revolution, the setting is in fact snow. Lots of snow. 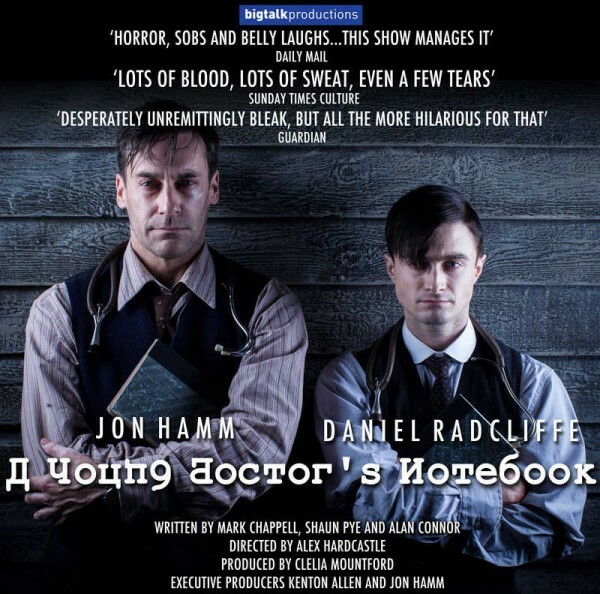 Harry Potter star Daniel Radcliffe and Mad Men’s Jon Hamm [will] play the same doctor at different stages of his life in the four-part series, A Young Doctor’s Notebook, by Russian writer and playwright Mikhail Bulgakov. Hamm will play the older man, who has a series of ‘bleakly comic’ exchanges with his younger self, played by Radcliffe. …and I am sad that Variety’s pieceÂ includes no puns or jargon. 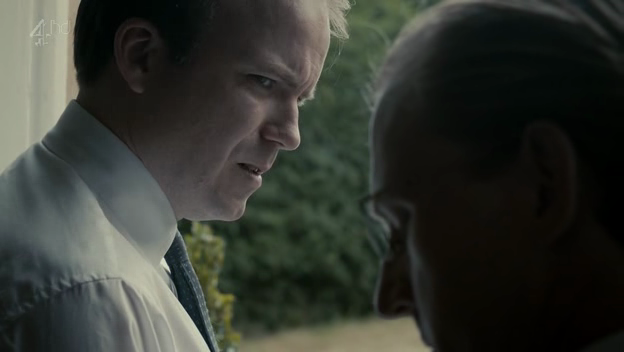 I made a thinkribution to The National Anthem, the first story in the Charlie-Brooker-yielded Channel 4 drama collection Black Mirror, but (a) barely perceptibly and so (b) you should watch it — with a caveat about adult themes.